Cash Store, offers a plethora of lending options to residents of New Mexico, Illinois, Idaho, Texas, Utah, Michigan and Wisconsin. The company was founded in 1996 and has made the Dallas 100 and Inc. 5000 list numerous times. All 340 locations are owned and operated by Cash Store so all customers will receive the same great customer service, online or in-store. 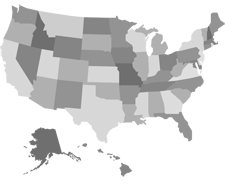 Cash loans up to $865 are offered in two states - Illinois and Michigan. All you need is a consistent income, blank check, pay stub, last bank statement and your driver’s license. Payment is due two weeks from the day your loan is funded, with a two-week extension option if you pay the interest that’s due. If you need more time and/or want to make smaller payments, then installment loans are the answer. Loan sizes are bigger too - up to $3000. Works similar to cash loans, but your repayment schedule can be months instead of weeks, making this the most popular option. Or if you own a vehicle, you can take out a title loan and get up to $25,000. As long as you make your payments on time, Cash Store allows you to keep your car. With a 90% approval rate, get the cash you need same day – no waiting overnight. Cash Store can be reached toll-free (888) 950-2274.